The Victorian Peeper: Florence Nightingale's Disputed Legacy: Angel of Mercy or Power-Hungry Meddler? Florence Nightingale's Disputed Legacy: Angel of Mercy or Power-Hungry Meddler? 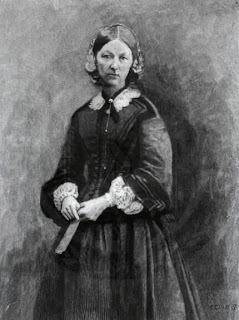 "She is known to generations of children as the saintly, iron-willed Lady With the Lamp who battled to improve the conditions of wounded British soldiers and founded modern nursing, but a strikingly different picture of Florence Nightingale [shown here] has emerged from the unpublished letters of one of her bitterest enemies. "'Miss Nightingale shows an ambitious struggling after power inimical to the true interests of the medical department,' Sir John Hall [1795-1866], the chief British army medical officer in the Crimea, wrote to his superior in London. "When Nightingale arrived in Scutari in November 1854 with 38 women volunteers, sent by her close friend, the war secretary Sydney Herbert, she was about to carve out her place in history and destroy Sir John's. 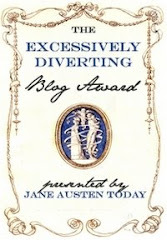 Her determination to reform the army hospitals in which thousands of wounded and ill soldiers were treated in closely packed beds by overworked doctors and male medical orderlies, and untrained women whom she dismissed as drunken and slatternly, brought her into instant collision with Sir John -- and she also became a media star in the first British war reported in detail by the press. "Henry Wellcome, who founded the trust, shared the general reverence for the Lady with the Lamp. Hers was the only woman's name he included in the frieze of his library, and he bought the scuffed moccasins she wore at Scutari - now on view in the new museum galleries which opened in London this summer. The collection also owns, but has lent to the British Library, the only known recording of Nightingale's voice, on a wax cylinder. "When his long military service was rewarded with a knighthood (a KCB), Nightingale commented to Sydney Herbert that the honour could only mean 'knight of the Crimean burial grounds.'" "Most biographies of Florence Nightingale attest that she became a national hero after dramatically reducing the mortality rate at the Scutari hospital during the Crimean war. But new research casts doubt on her role in transforming the hospital after her arrival in 1854. "Official records show that by February 1855, the mortality rate had fallen from 60% to 42.7% and then, once a fresh water supply was introduced, it dropped further to 2.2%. "Recently historians have suggested the death rate among soldiers did not fall immediately but rose, and was higher than any other hospital in the region. During Nightingale's first winter there, 4,077 soldiers died, mostly of typhus, typhoid, cholera and dysentery. Ten times more died of these illnesses than from battle wounds. 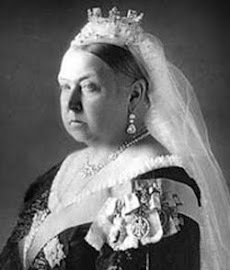 "The death rate began to fall six months after she took charge -- only after a sanitary commission was sent out by Lord Palmerston to improve ventilation and clean out the sewers. Nightingale had believed the mortality rates were due to poor nutrition and overworking of soldiers. 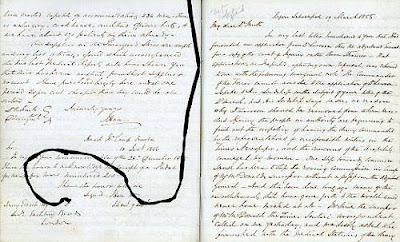 But Hugh Small, author of Florence Nightingale: Avenging Angel, claims an unpublished letter shows it was not until 1857 that she realised the conditions within the hospitals themselves had caused such a huge number of deaths." That is ridiculous. Florence Nightingale worked tirelessly to improve conditions for soldiers and she was the one who demanded a sanitary commission. Once again I repeat, That is ridiculous.